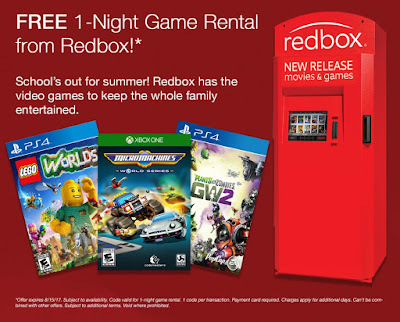 Savvy Spending: Free 1 night Game Rental from Redbox and CertifiKid.com! Free 1 night Game Rental from Redbox and CertifiKid.com! You can sign in to CertifiKid.com or create an account to get a FREE Code Valid for a 1-Night Game Rental from Redbox ($3 value). This is valid through August 15th!